Moving Service is a removal company that specialises in office and home removals in the N15 and N17 postcode district. 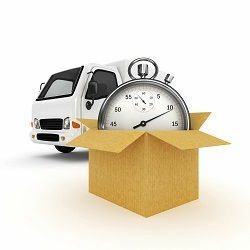 Whether you are moving locally or moving to South Tottenham, we can help with every step of the way from packing, loading, transportation with our man and van service, to unloading and unpacking at the final point. During our years of experience, we have had requests to move spaces as small as a room and a studio flat, to as large as whole office complexes and large houses! There really is no job too small or too big that we can’t do and we are more than happy to discuss any of your moving needs and find a solution for you. Call us today on 020 8746 4402 where one of our experienced professionals is on hand to listen to what you need and propose a complete removal plan to make your office or home removal to N15 area as stress-free as it should be. The area sits in the N15 and N17 postcode district in North London. 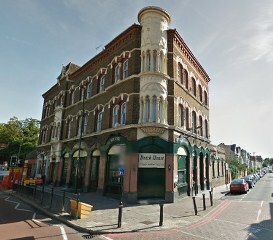 It is bordered by Stamford Hill to the south, Harringay to the west and Tottenham to the north. The transport in the area is very good with South Tottenham having its own train station on the Gospel Oak to Barking section of the London Over ground. It is also just a few minutes walk away from the Seven Sisters tube on the Victoria Line. Eating out in the area is becoming increasingly better with a much wider choice of eateries to choose from. There are various cuisines to pick including Nigerian, Polish, Latin American and South American flavours. There are also popular pubs that are a hit with the locals and serve a wide range of drinks and classic pub dishes. The increase in amenities in the area reflects the move of new residents that are coming to the area in search of the affordable yet pleasant area that it offers. It is home to a diverse mixture of east Europeans, long established property owners, council house and middle class couples and professionals looking to get on the property ladder. The area really is the new place to be! Our moving service is fully comprehensive and it really covers every aspect of the entire move from the initial packing stage to the final unloading and putting items in their new places. Our staff is experienced and has been working in the removal industry in N17 area for many years. Any heavy or large items our team can handle with care and attention, saving you the risk of physical injury in an attempt to get these items out yourself. Whether you are moving a house or relocating into a new office space around South Tottenham, N15, Moving Service covers the entire process and ensures your belongings arrive at their final destination in their original condition. The whole move is covered as well with our full insurance, which fully protects your possessions. Our rates are also very affordable and we guarantee excellent prices compared to our competitors without any effect on the quality of our work. The quote we give at the initial consultation is the quote that you will have to pay – we guarantee there will never be any additional charges or hidden fees. We really work with exceptional customer service and complete transparency at the heart of our core values and work ethics. To speak to one of our local and friendly removal staff, then call us today on 020 8746 4402 to schedule a free consultation and pick up a quote.